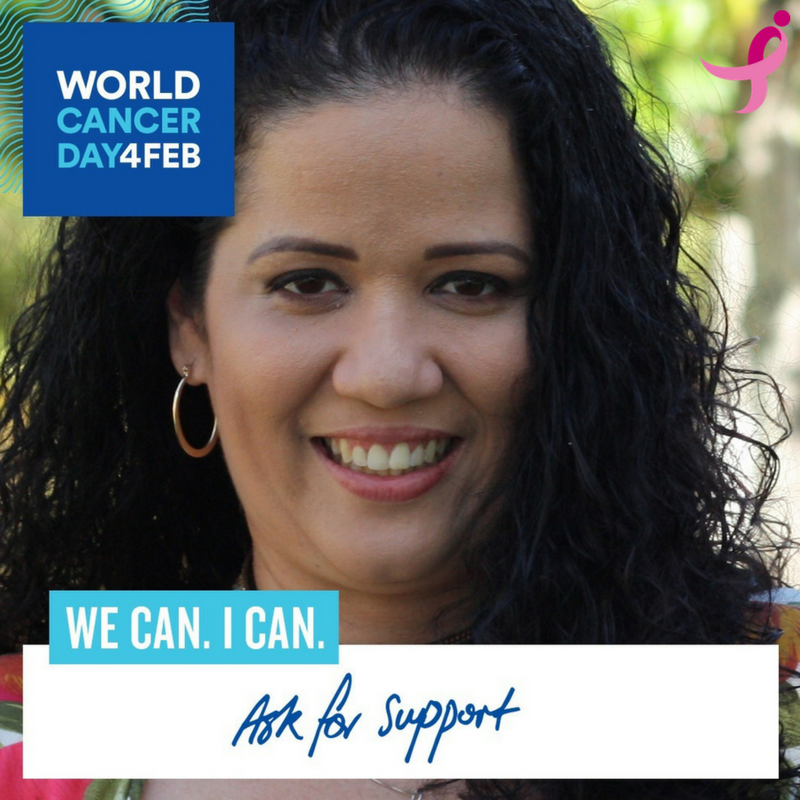 Inspire Action and Take Action for #WorldCancerDay! Cancer is the same in every language. So is our desire to combat it – and end it – forever. 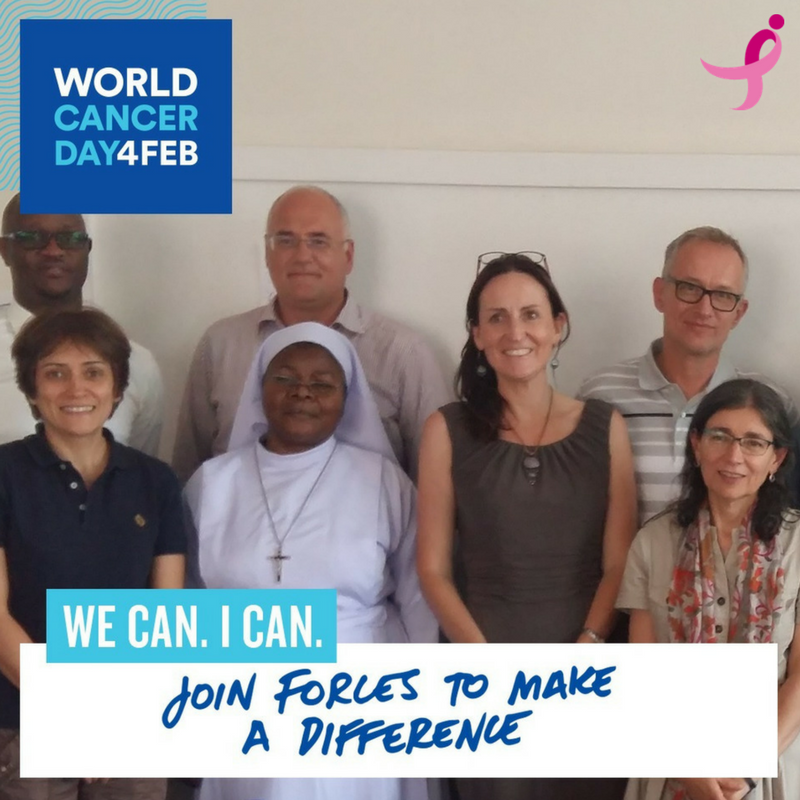 Each year, World Cancer Day brings together people around the globe, united for a common goal: save millions of lives each year by raising awareness and education about the disease, and press governments and individuals across the world to take action. Currently, 8.8 million people die from cancer worldwide every year, and more than half a million of these deaths are from breast cancer alone. No matter where you live or what language you speak, cancer affects us all. Let’s speak up and do something about it. We can. I can. Inspire action, take action. 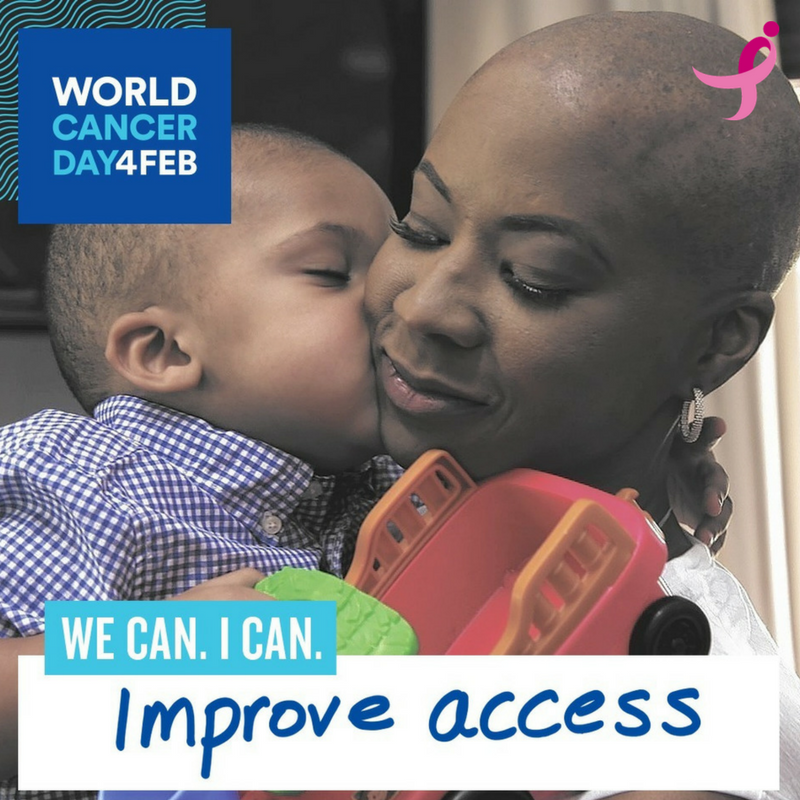 That’s the theme for this year’s #WorldCancerDay, so make it yours! 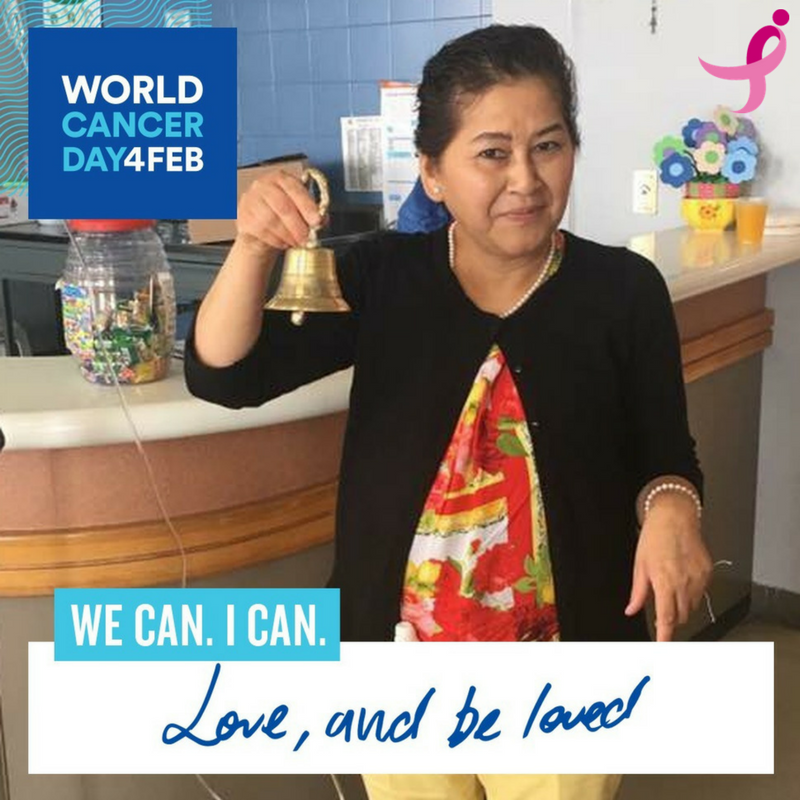 Read and share the stories below, visit www.worldcancerday.org, and tell us how you’re going to take action today and all year to help fight cancer. “Rendirse no es una opcion.” – Janeth H.
I was diagnosed for the first time in 2011 and then again in January 2016. I had no family history. My family helped me with everything, like taking me to appointments and treatment, and handling responsibilities at home. They learned about medicines, treatments, nutrition – everything they could. My family is the reason I’m alive and now cancer-free. The days I felt like I couldn’t keep going, they gave me strength. Life is beautiful, so keep going: every single day is a blessing. You have to choose to fight, and it’s not easy, but it’s definitely worth it. My childhood dream was to become to be a surgeon. I became a cancer surgeon, and saw firsthand the impact of cancer – through the eyes of hundreds of patients and both of my parents. And in the summer of 2013, it was my turn. I was diagnosed with two different types of breast cancer. My family and I opted to share our unique perspective as part of the documentary Cancer: The Emperor of All Maladies, hoping our experience would help others. Today I am disease-free, and my priority is to develop better ways to serve patients and shed light on the health disparities that exist in breast cancer. “Eu tive câncer, mas o câncer não me teve” – Paula D.
I had cancer in 2011, at the age of 30. No one expected it, because besides being young, I had no family history. From the very first moment I learned of my diagnosis, I decided that the disease would not define me and that’s what happened. I focused on my happiness, working and living life as much as possible. In 2012, I created the blog “Mão na Mama” with the goal of sharing my experience and providing quality lay information to everyone. It turned out to be a platform for me to talk to diverse groups of people over time. The possibility of helping and supporting someone who is faced with this disease, makes everything I went through worthwhile. Every time I thought about giving up on the blog, due to tiredness or the daily hustle and bustle of life, someone came to me for help and showed me that the work has to go on! Dr. Isabel dos Santos Silva and I are teaming up with investigators in South Africa, Namibia, Uganda, Nigeria and Zambia to figure out why so many women in Africa are dying from a treatable form of breast cancer. With Susan G. Komen’s support, our team is implementing the African Breast Cancer-Disparities in Outcomes (ABC-DO) study to examine the biological, health-system, and sociocultural factors that influence breast cancer outcomes for women in these communities. We hope that future patients around the globe will benefit from improved survival through early diagnosis followed by timely treatment.